Sitting, chatting in a coffee shop in Crawley two parents of JLB young people (YPs) were discussing what the future would hold for their children. Time was coming to finish school and start college and much as education had gone well, the prospect of great exam results and good jobs wasn’t looking too promising. This then, was the beginning of the dream of JubyLee Bakes. Ellen and Kim then spoke to friends about their idea, and gradually interested YPs joined the group. The question though was how to take the idea forward. This was answered one day at Collyers when Emily (one of the tutors) handed a leaflet to a group of the students, suggesting that maybe entering a competition could lead to JubyLee Bakes becoming a reality. 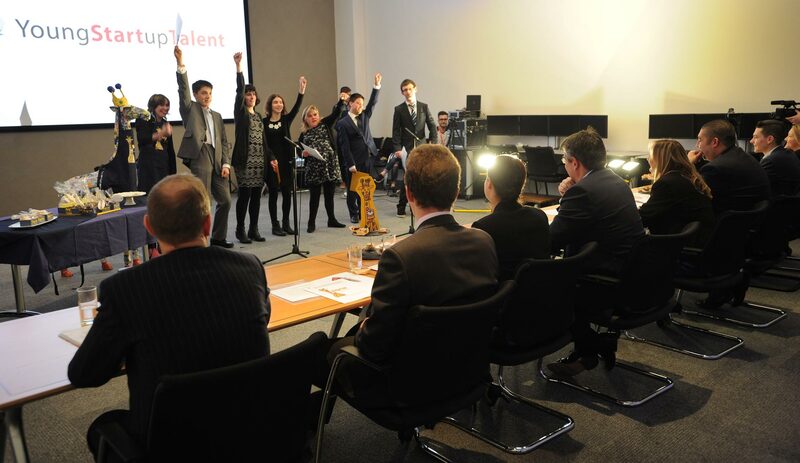 So the journey towards entering the Gatwick Diamond Young Start Up Talent 2016 began. Our friend Abigail ( far right) has moved on to do other things, but was a great member of the JLB Team! 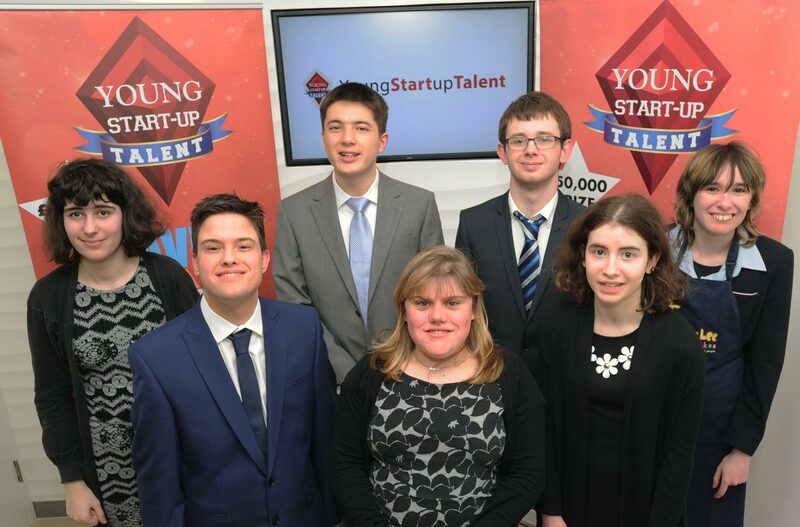 Likewise Aaron ( front left in blue suit) who wowed everyone with his big smile, and James ( next to Abigail )who was our IT whizz have both gone on to pastures new. Thank you Abigail, Aaron and James for all that you contributed to JLB! Meetings were held, cards printed and Simon prepared for a speed networking workshop in January 2016. He impressed all present with his passion for JubyLee Bakes and the team were asked to continue to the next round of the competition process. Advice and support was offered, and accepted. A Dragons Den style presentation was given at Thales in Crawley, to a group of judges who had a lot of questions to ask and ate lots of samples of cake. An evening visit to Brighton Sea Life centre to network, hear speeches from the judges and see the film of the Brighton YST competition was next. 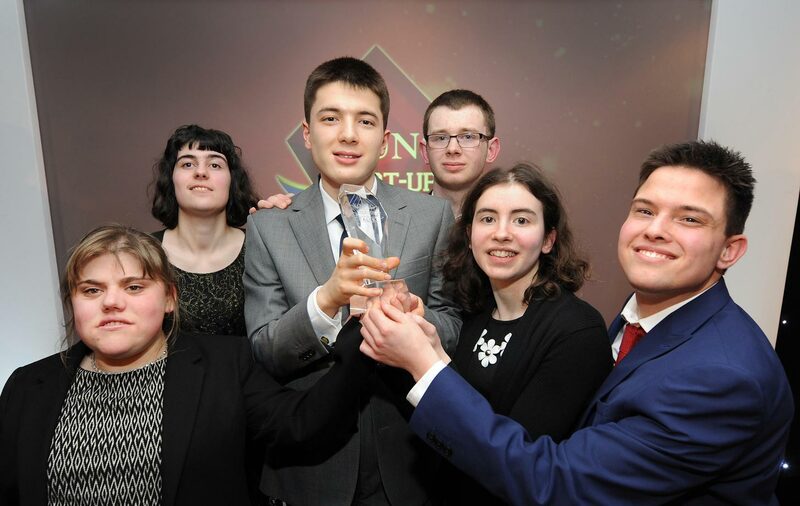 In March 2016 we went along with our families to a presentation ceremony at Lingfield race course along with all the other finalists, all of whom had interesting business propositions. The winners were announced and, YES, it was JubyLee Bakes! We are currently selling our Bakes to Norwegian Airlines Gatwick Office, HSBC Gatwick, Aspect 8 Horsham, Crates Local Horsham, Cafe Revive Crawley and Collyer's College Horsham. In addition we regularly sell at Pulborough Village and Farmers' Market and have supplied Bakes and homemade lemonade at Horsham Garden Music Festival and Cuckfield Bonfire Night for the past 2 years. What does the future hold? Firstly selling lots of bakes, maybe running our own 5 Star kitchen!! We are proud of our Food Hygiene qualifications and aim to maintain the highest standards. 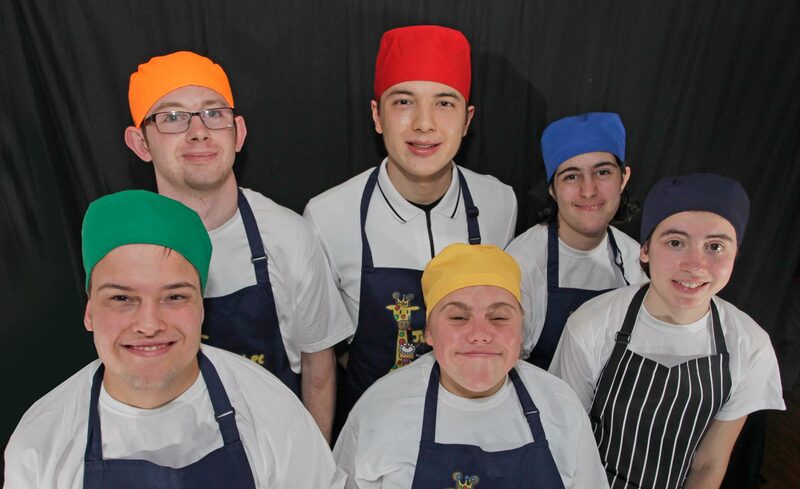 We would like to welcome many more young adults with learning disabilities to join our happy team. We have entered Big Lottery Community Fund's People's Projects competition for funding to establish our own kitchen- please watch this space and vote for us when the time comes! JubyLee is a giraffe made by Queen Elizabeth II Silver Jubilee School in Horsham. Some of us bought the giraffe in the Rotary Club auction to give back to the school. We called our business JubyLee Bakes because we named it after JubyLee. Most of us went to QE II School and helped make her. JubyLee has beautiful eyelashes and has lots of photos on her body of the pupils at QEII. She has a crown on her head and pink glittery feet. This is because the school was opened by the Queen in 1977. We all love JubyLee and made her our logo for our business. She sometimes goes to bake sales with us. We have a picture of her on our aprons and our labels. Along our journey, so many people have generously given us their time, help and encouragement. We would like to say a huge THANK YOU to you all! However, we could not have come this far without the help of Lesley Dyer ( Head of QEII Silver Jubilee School) and Helen Crooks ( Chair of Governors at QEII Silver Jubilee School, and Chair of Directors of JubyLee Bakes), Annalees Lim our creative advisor and Lorraine and Beckii Nugent and all the Young Start-Up Talent team – we cannot thank you enough! !